Bethesda’s chief game creator, Todd Howard, knows what Elder Scrolls VI should be like, but his team needs more time and perhaps better technology to make it. Geoff Keighley: Are you guys going to do an Elder Scrolls VI? 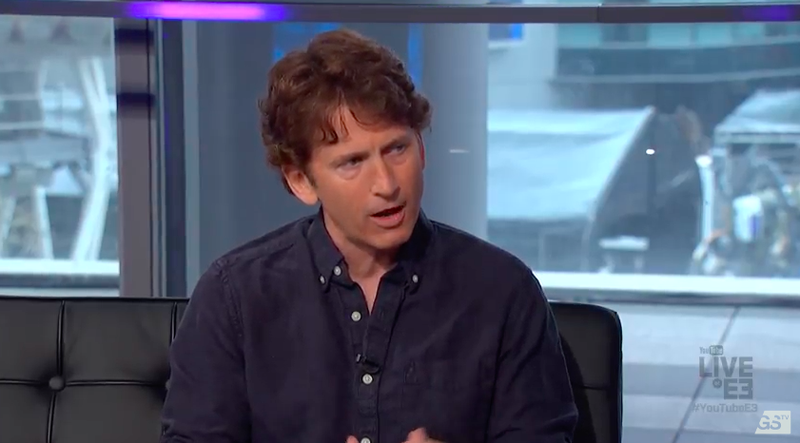 Todd Howard: That’s kind of like the elephant in the room always when we talk about anything. And I think it’s good in these moments to tell our fans, ‘Yes, of course we are. It’s something we love.’ But it is–you know, I have to be careful what I say–it’s a very long way off. I could sit here and explain the game to you, and you would say, ‘That sounds like you don’t even have the technology–how long is that going to take?’ And so is is something that is going to take a lot of time what we have in mind for that game. And we actually have two other large projects we’re also doing that are bigger than anything we’ve done. People will probably hear about those probably even before Elder Scrolls VI. And that’ll make sense many years from now. Keighley: So that’s amazing. You have a vision in your mind of what you want Elder Scrolls VI to be. Howard: We think very long term. We’re not a developer that’s going to, like, rush something like this out [or do that] with any of our games. When you think of the future of that kind of game, we have a pretty good idea of what it’s going to be and it’s just going to take technology and time that really we don’t have necessarily right now. The previous Elder Scrolls, Skyrim, was released in 2011 and is being remastered for Xbox One, PS4 and PC later this year. No word from Howard on what those two other big Bethesda games will be, but it sure sounds like they’re keeping busy. Howard noted that Bethesda continues to expand so even if this all sounds ambitious for them, perhaps they can pull it all off.